Imagine hearing a track on a playlist that sounds similar to one on your songs… but it’s been released by another artist. This is what happened to Sydney-based electronic artist and FBi presenter Seduna – aka Alex Hollis. The song in question – released in March 2018 by Berlin producer Digitalluc, entitled ‘Float’ – allegedly shared similar melodic progressions, stylistic use of particular samples and beats to Hollis’ track ‘coy’, released in March 2017. “I started freaking out, as you would, and my housemate was helping me look for where it was on the internet, and it was absolutely everywhere. I’m talking like ten YouTube videos, Spotify, iTunes, Amazon, Bandcamp, Last FM, Hype Machine, everywhere and anywhere it could possibly be, even Reddit,” she remembers. “On Spotify there’s been over 600,000 plays. He’s getting money from it on various platforms; he’s had over 50,000 plays, I think, on YouTube. Over 30,000 on SoundCloud and that’s just three right there. From a legal perspective, Andrew Fuller, director of Melbourne-based Clearview Legal Counsel (which specialises in arts, entertainment and media law), highlights that these sorts of infringement claims can be difficult to win. “It will take an action in the Federal Court to do so. 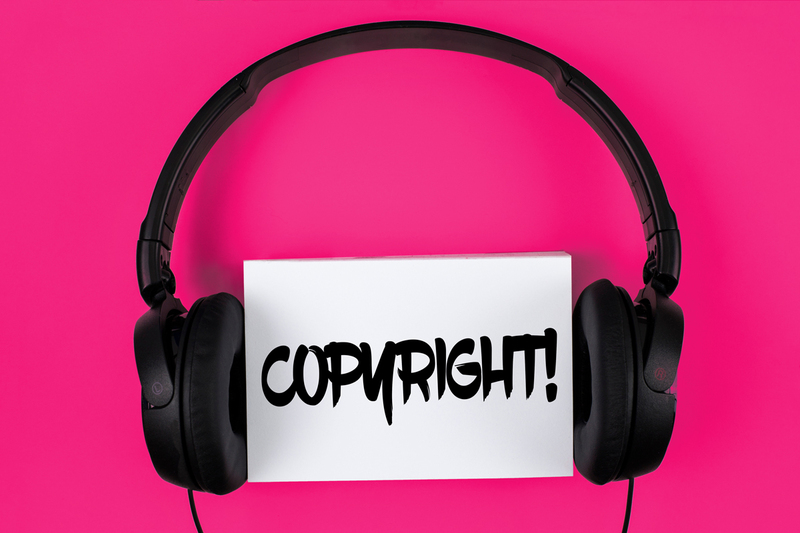 Copyright is infringed when a person uses all, or a ‘substantial part’ of copyright material in one of the ways exclusively controlled by the copyright owner without the permission of the copyright owner. 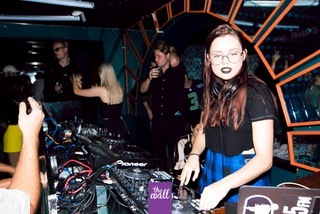 Hollis believes that it’s from around the 11-second mark [in Digitalluc’s track] where the main melody of her original track comes in, stating that it’s a rare instance to have “two different artists across the other side of the world using the same samples from different sample packs in the exact same way”. “It’s a synth that I used that I had gotten from a sample pack and also a drum loop that was from a separate sample pack as well. So he’s used it in the exact same way that I have. I also found it quite interesting that the intro into the drum loop, where the beat actually starts, he starts it slightly early and so do I. When coming to a conclusion about substantial similarity, Fuller explains that “Musicologists assist a judge to reach a decision on whether there is a sufficient degree of objective similarity between the original work and the infringing work to amount to the copying of a substantial part of the original work. An issue Hollis faces is that a portion of her song she believes to be similar to Digitalluc’s is based on publically available samples. A dispute over the date of Digitalluc’s song’s creation – released through Netherlands label Chillhop Records – also adds a layer of difficulty for Hollis. While her song was published on SoundCloud in 2017, she says that Digitalluc claims that work on his track dates back to 2016. “If a copyright work is very similar to an earlier work, but the similarity is pure coincidence (i.e. no direct copying), then there is no copyright infringement,” explains Fuller. For now, Hollis is attempting to contact a legal service. “I don’t have a lot of money… I’m just trying to wait and see what I should do next and if I can get in contact with people that can help me and what my rights are because it’s really unclear. Fuller clarifies that copyright exists automatically when original work is created. While Hollis is currently in conversations with Chillhop and Digitalluc, she says that “I heard the song and was so sure of myself and so sure that this was something that had been taken from me and now, after him really aggressively coming back at me, it’s really making me question everything that I thought that I knew, and I hate that. “What I make is really close to my heart and my soul and what I’m feeling and who I am. [This incident] goes against everything that I believe music is and it has affected my motivations in music. So what’s the next step if you think you have a copyright claim? “If you are signed to a record label or music publisher, the best first step would be to bring it their attention,” says Fuller. “Otherwise, it is advisable to get legal advice about whether your copyright has been infringed. Fuller also highlights that establishing whether the sample of music in question forms a ‘substantial part’ of the track is crucial before taking further steps. “You might also need advice about whether the person who used your work may have been entitled to use the material under any special exceptions like reporting the news, use for parody or satire, or to enable a person with a disability to access the material, among others. “The best place to start is with the good folk at The Arts Law Centre of Australia who can either provide a lawyer from their referral panel to give you some preliminary advice, or by recommending a lawyer who understands the area to the independent artist. Peak bodies like Music Victoria, WAM, QMusic, Music SA, MusicNSW, Music Tasmania, Music NT and APRA can also refer you to a number of lawyers who may be able to help. But before artists get too attached to the idea of having their day in court, Fuller advises that there’s often a very different result. * Chillhop Records have been contacted for comment.